Equipped with an innovative multi-frame tracer, Santinelli International’s acclaimed LE series is now reborn with avant-garde technology and an all-new look encapsulated in the LE-1200 model. The unit’s on-board tracer offers heightened levels of shape detection and size measurement accuracy for a wide array of frames, including sport styles. Lens and pattern tracing have never been easier, with the magnetic-mounted pattern setting assembly and simple, one-touch operation. The LE-1200’s redesigned software adds a tailored “mini bevel” function at the push of a button, providing a custom fit lens for thin, metal eyewire frames, such as Ray Ban™ aviator style. As a result, the cosmetic appearance of the finished eyewear is greatly enhanced. Additionally, the new software senses the lens blank diameter. 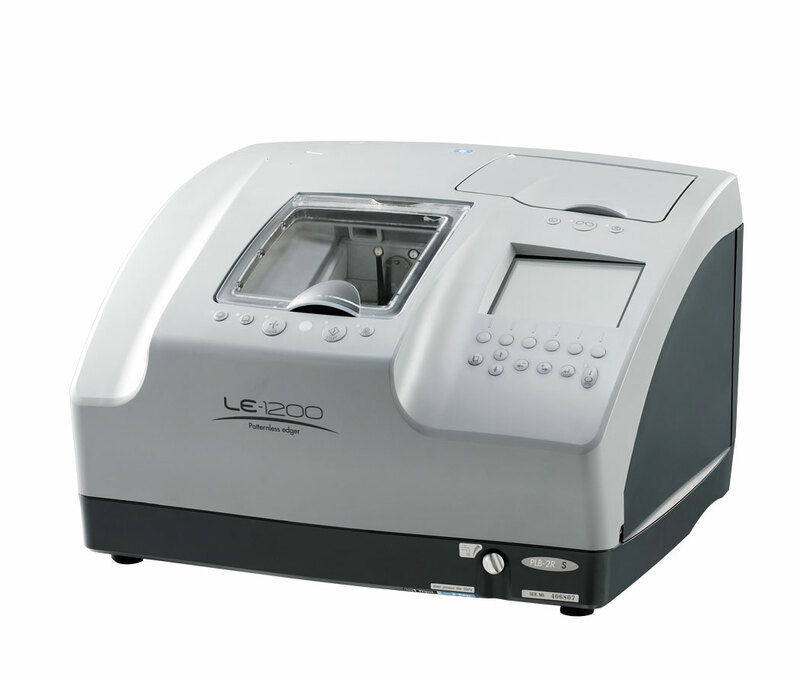 Together with lens measurement data and lens material, it automatically selects the most-efficient lens processing method and cycle time. Therefore, even today’s super hydrophobic coated lenses can be edged without axis shift. Overall, we've been completely satisfied with our edger. Thanks for making quality equipment!